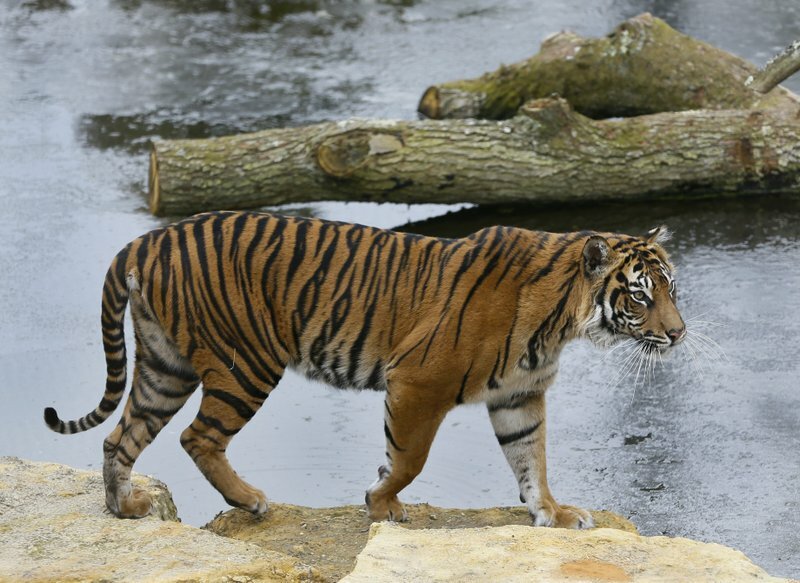 In this Wednesday, March 27, 2013 file photo, Melati a female Sumatran Tiger walks past her frozen pool, at London Zoo. London Zoo says one of its female Sumatran tigers has been killed by a potential mate while the two animals were being introduced. The zoo says 10-year-old Melati died Friday, Feb. 8, 2019 during her first encounter with Asim, a 7-year-old male.